In my region of central North Carolina, it has been a very sparse year for butterflies and moths. The local lepidopterists (folks who study this group of insects) suspect that an especially severely cold winter followed by a wet early spring may be responsible for the dearth of this insect group. This is not just bad news for those of us who enjoy watching colorful butterflies drift in clouds from flower to flower. It is very bad news for the ecosystem, because myriad species of animals — most especially nesting birds — rely exclusively on the larvae of this group (caterpillars) to feed their young. Caterpillars are the perfect baby bird food — packed with protein and other key ingredients that insure that chicks grow quickly to fledgling stage, where they become less vulnerable to predators. In fact, caterpillars are the only food parent birds of familiar species such as Eastern Bluebird, Carolina Chickadee, and Carolina Wren can use; their chicks require the specific nutrients in those proportions to grow and fledge. The well-known classic, Silent Spring, by Rachel Carson warned the world about what happens when insects disappear from ecosystems. The banning of DDT saved our birds that time. 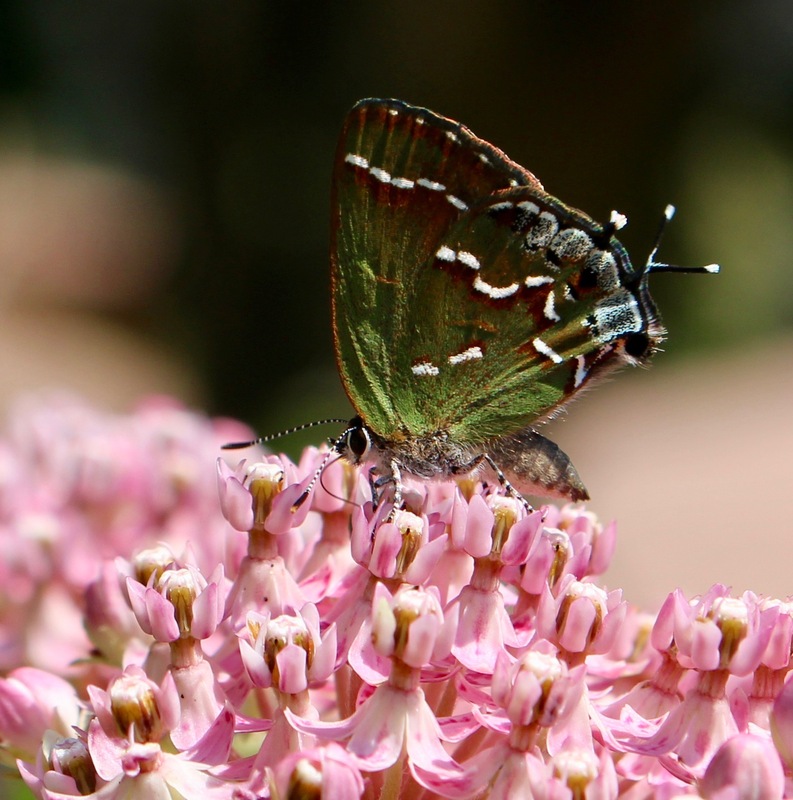 A more recent classic, Bringing Nature Home: How Native Plants Sustain Wildlife in Our Gardens, by Douglas W. Tallamy, details specifically which species of insect rely on which species of native plants. The list is long and alarming — at least to me — because many species of insects rely exclusively on only one species of plant to feed their larvae. If that plant species is unavailable, the insects that rely on it cannot complete their life cycles. 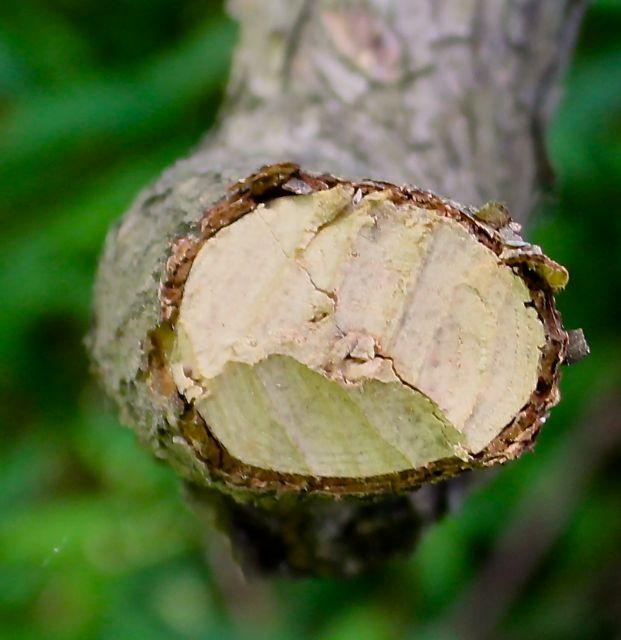 If the host plant species becomes widely unavailable (as species of Ash trees are becoming now, due to devastation by the non-native Emerald Ash Borer), insects that rely on those species will disappear. This head-on view of a Juniper Hairstreak illustrates the “hairs” for which it is named. 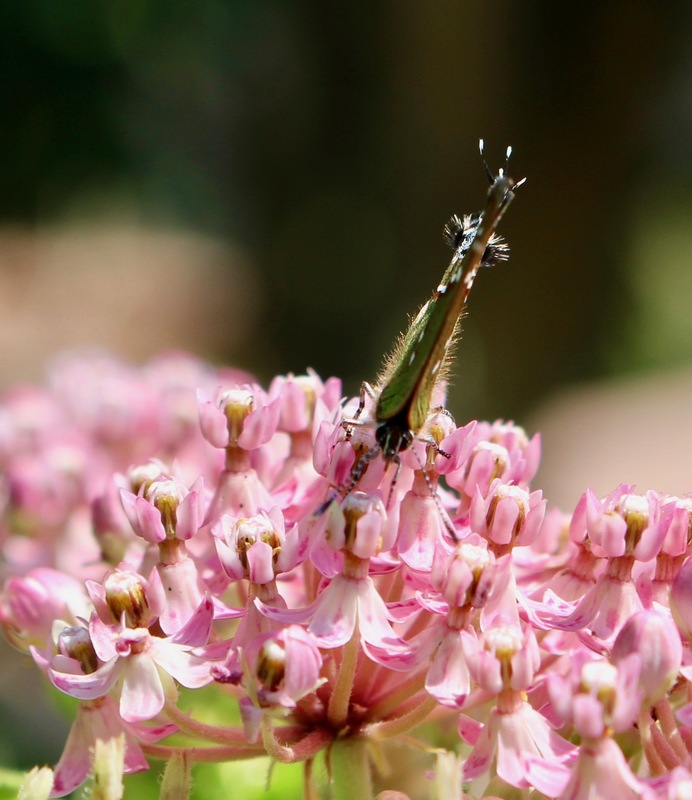 I was delighted to spot this fresh-looking Juniper Hairstreak dining on Swamp Milkweed in my pollinator garden yesterday. 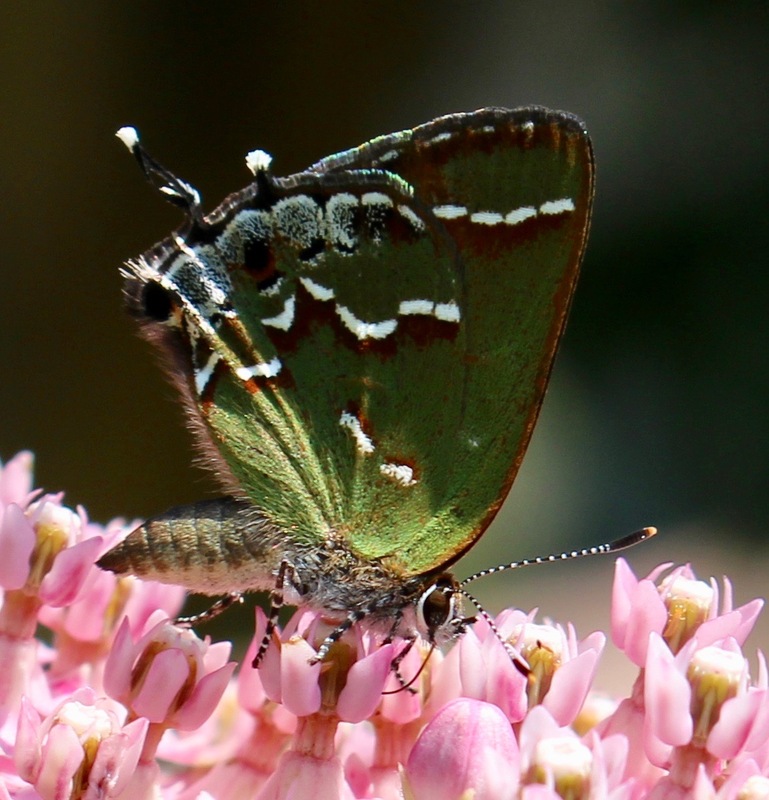 This small butterfly is often overlooked, because of its soft green color, but it is relatively common in the Piedmont region of North Carolina because its larval food plant — Eastern Red Cedar (Juniperus virginiana) is also relatively common. On my five acres, we are lucky to have a number of 40-foot mature specimens. They provide shelter for birds and other creatures, their bluish “berries” (actually cones) are beloved by Cedar Waxwings and other birds, and their sturdy shade and deep green color make this evergreen species well-suited for any landscape. If sited where air flow can stagnate, a colorful fungus that uses this species as an alternate host can appear, but I solved this issue in my yard simply by limbing up the trees to permit better air circulation. References tell me that male Juniper Hairstreaks linger on branch tips of their host tree until a female is attracted. 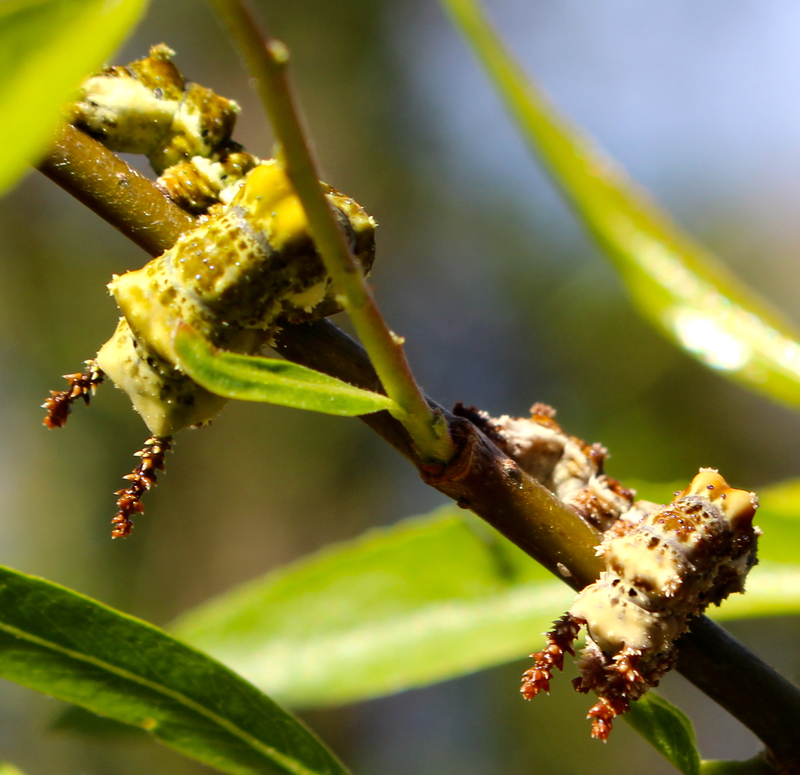 Females lay single eggs on the tips of branches, which eventually hatch to become very well-camouflaged caterpillars similar to the one in this link. I’ve never seen one on my trees, but then again, I’ve never gone looking for them either. But the presence of this fresh-looking specimen on my Swamp Milkweed yesterday tells me that my Red Cedars have been playing host to green caterpillars that have likely been helping to feed the three broods of Eastern Bluebirds reared by the ambitious parents that nested on my property this year. In a world so filled with darkness these days, the appearance of this petite green butterfly gives me at least small hope for my planet’s future. Long may you and your kind reign, little one. In 1989 when Wonder Spouse and I first moved to our current home, the fertile sandy loam of our five acres tempted us into a few acts of botanical acquisitiveness that we now mostly regret. Wonder Spouse’s big buy was daylilies — lots of them. 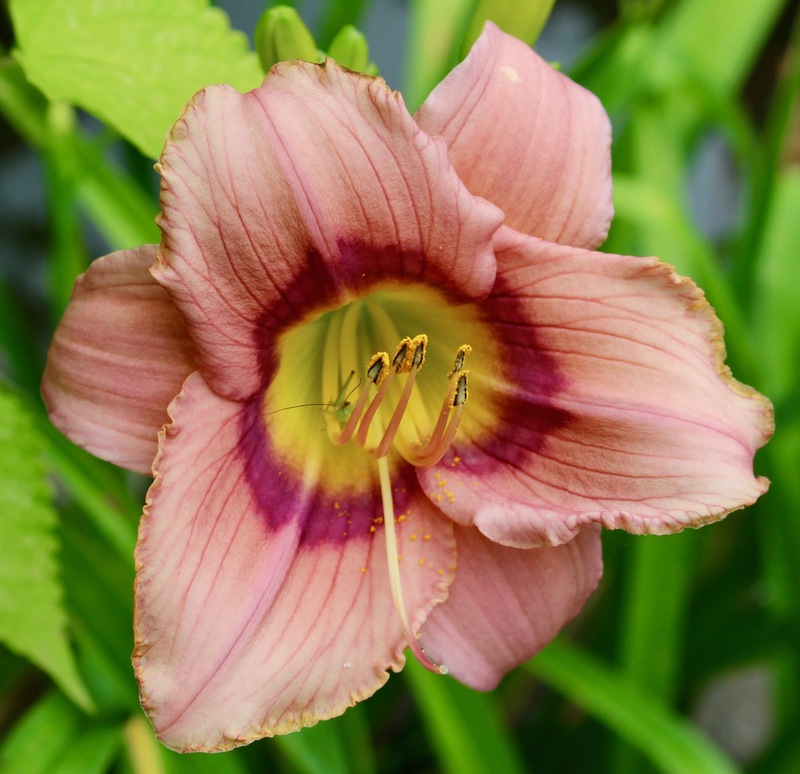 In those early years, there was a wonderful daylily nursery just a 20-minute drive from our house that was only open to the public when the daylilies were in bloom. Customers walked the long rows of dramatic bloomers, picked out the ones they liked, and willing assistants dug them up and carried them to your vehicle. On one visit, we made the mistake of bringing our covered pick-up truck. 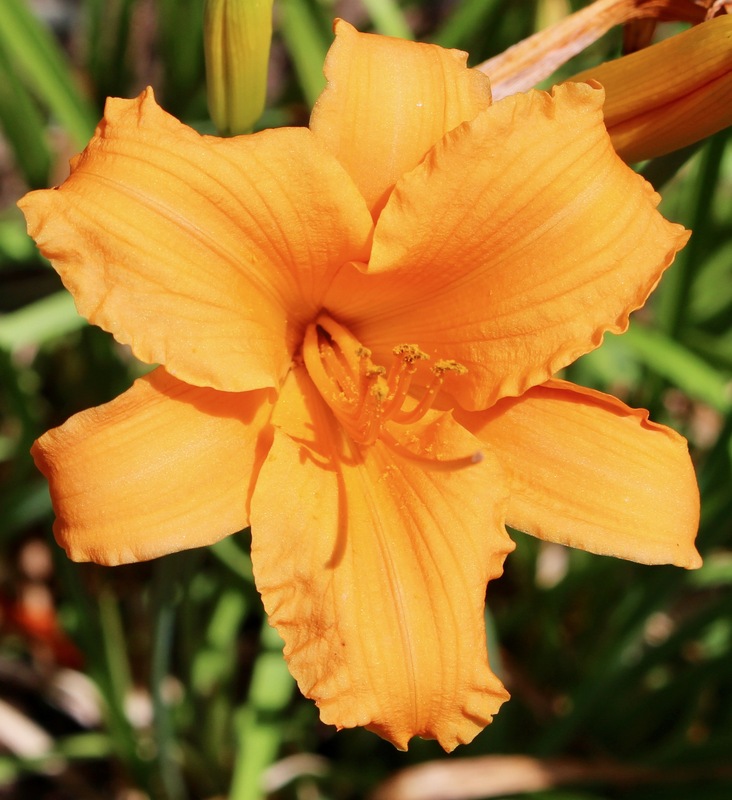 Wonder Spouse decided that in the mythological state known as his retirement, he would hybridize daylilies. So he bought a lot of them, enough to fill the long-bed pick-up. He bought tall spiders, miniatures, late bloomers, repeat bloomers, frilly ones, and simple ones in every color you can imagine. Today, of course, I would not buy these one-season wonders. They are not native. Their flower buds are a favorite food of deer and other varmints. Their leaves are prone to a disease that turns them an unsightly rust color. And while pollinators do visit the flowers, I can now think of two dozen native flowers off the top of my head that would feed more pollinators, bloom longer, and better serve the life cycles of native insects and animals. Despite horrible neglect, our fertile sandy loam has stimulated these daylilies to multiply enthusiastically. I have given away more plants than I can count, but you would never know from looking at those that remain. Still, when their succession of blooms adorns my front garden where many of them are planted, they are quite lovely. 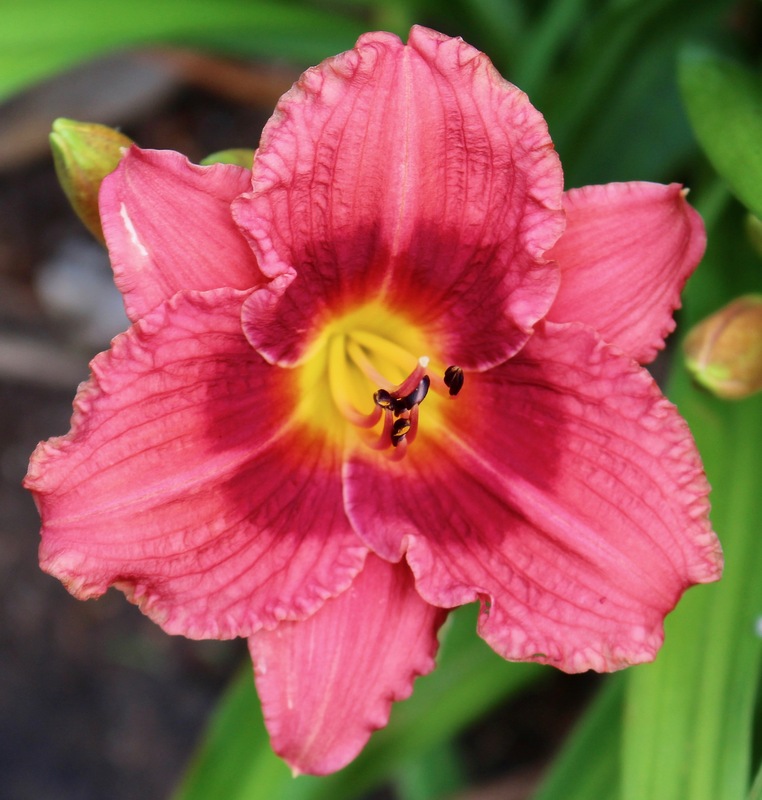 A number of them are tucked in around our front water feature, and freshly metamorphosed froglets seem to favor the leaves and blooms of the daylilies as perches, where they practice air-breathing in dawn’s light before they retreat deeper into the foliage to escape searing summer sun. I have lived with these daylilies for several decades now. When I planted them, I created name tags for each variety, so that Wonder Spouse and I could keep track of them. Most of the markers are long gone, but it doesn’t matter. I know each variety by sight, greeting the first blooms of each one by name as they appear. This post features many of the current bloomers, but not all of them. 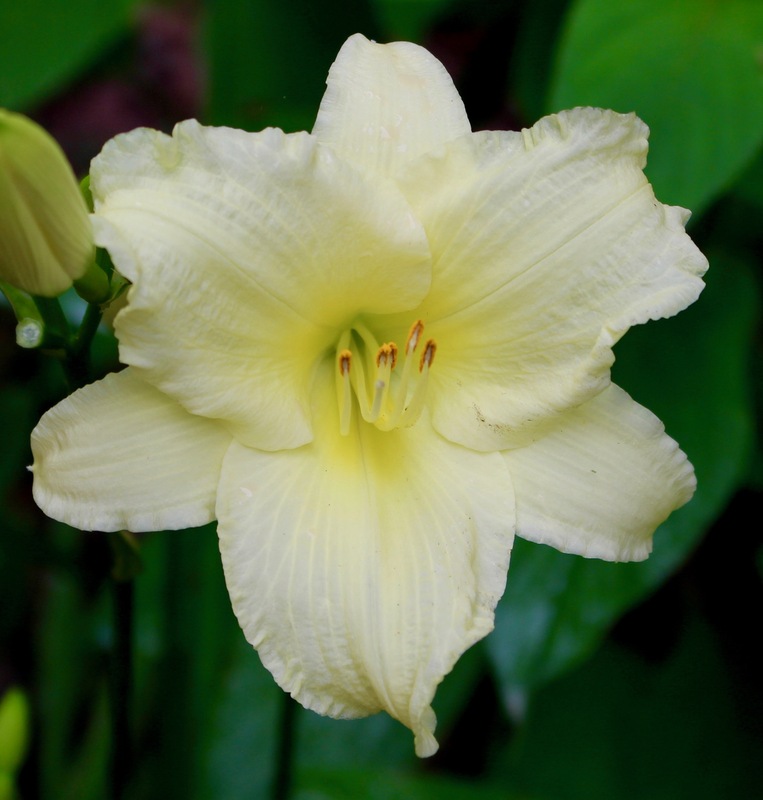 Vegetable tending in our growing drought and heat is a higher priority than daylily admiration. 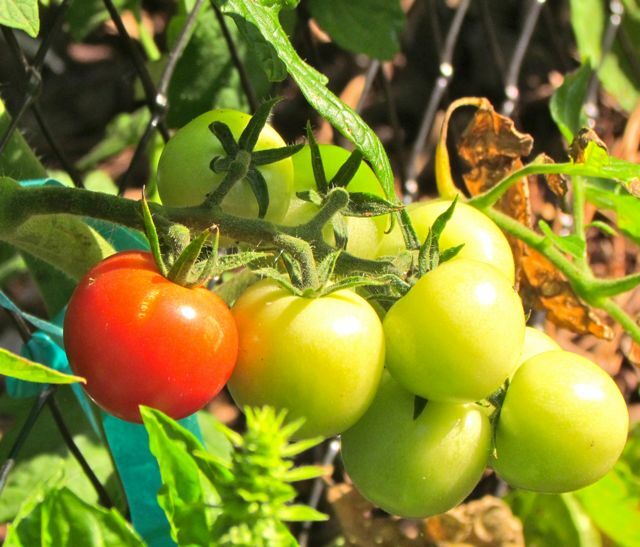 One of the great imponderables of gardening life: Why does it take so long for the first tomato of the season to ripen? And then when it does, why does it take forever for the rest of the tomatoes to transform from hard green to juicy red? 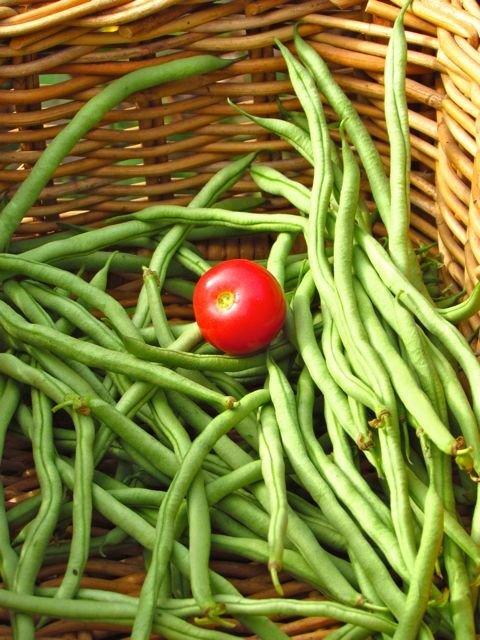 Amidst the heavy harvest of Fortex pole beans, one Sweet Treats cherry tomato was ready yesterday. It was consumed with great ceremony at last night’s dinner — one half going to Wonder Spouse, the other to me. It was so good! But now the waiting begins in earnest. So many green tomatoes, so few signs of color change — except for yesterday’s delicious outlier. Somehow the memory of its perfect tomato flavor must satisfy us for — who knows how long? All the tomato plants are still very actively growing. 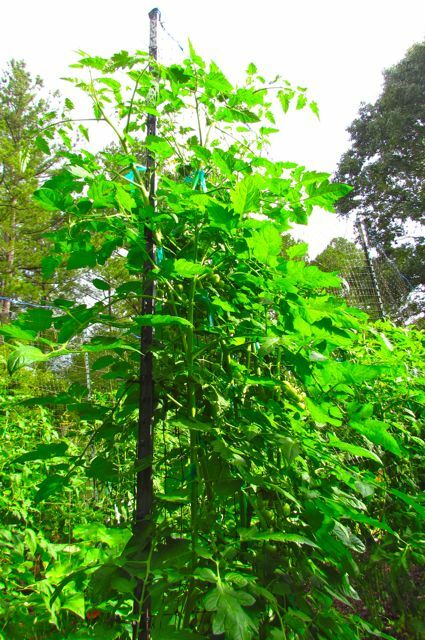 I tie new growth to the trellises daily. The undersides of my thumbnails are stained dark green from using my nails to snip off unwanted suckers as I tie my enthusiastic charges. When I wash up, the soap suds turn yellow-green from the tomato pigments that coat my hands as I groom the plants. 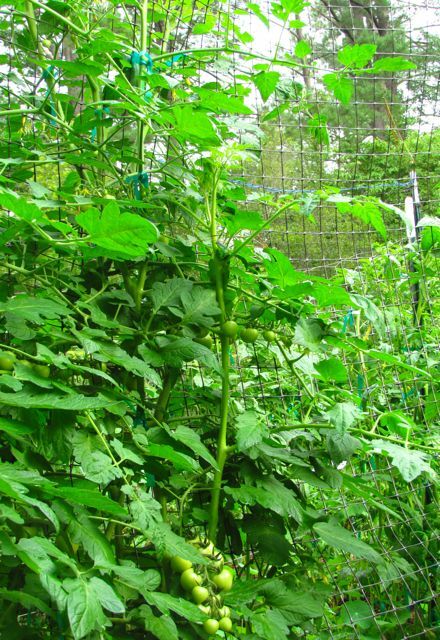 I’ve been doing this — growing tomatoes — for over four decades now. The routine is the same every summer. 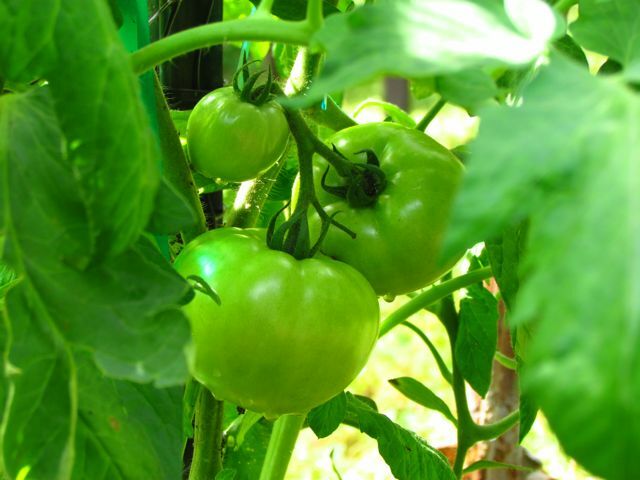 About fifteen or so summers ago, I wrote a poem about growing tomatoes. I hope you’ll indulge me as I share it with you here. every new shoot tied to a support. I thought I had them tamed. from the weight of visiting bees. Today, the riot is well underway. in all directions at the approach of an adult. I can almost hear them giggling. This is not a task for timid souls. disregarding spiders and sticky aphids. to tie them to their supports. I bow to my partners. 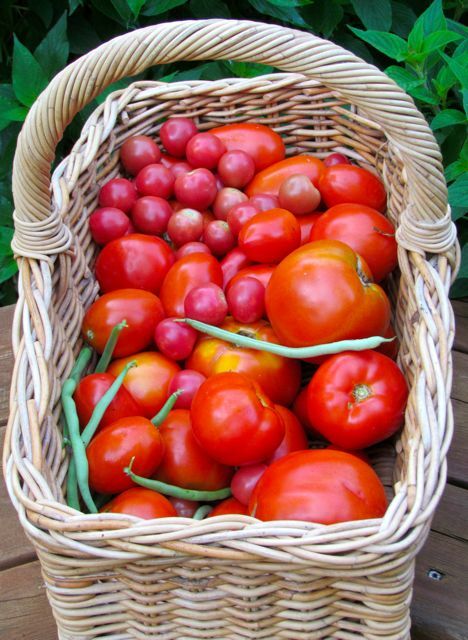 of summer sambas with tomatoes. Happy Summer, everyone. May the fruits of your labors bring you as much delight as mine bring to me. * I hope you enjoyed this repeat of a post from 2013. Gardeners are time travelers. Our ties to good earth, green plants, and all the creatures that rely on them anchor our bodies while simultaneously transporting our minds through a river of time that flows both ways, forward and back. When we plant a seed or a young tree, we see in our minds what that plant will become. When we see a mature oak, its full green branches laden with acorns, our minds travel back to the time when the acorn that became the mighty oak was planted. As I plant and tend a garden, I slip into the timestream, seeing clearly the ripe tomatoes I will pick in a few weeks, ivory flowers that will perfume the air when a Bigleaf Magnolia attains blooming size, and the berry-eating birds that will flock to the holly and viburnum fruits produced by the shrubs I settle into the ground today. Experienced gardeners and other adept readers of the land, such as ecologists, slip easily into the Green World timestream as we go about our lives. Visions of past and future landscapes unfold with our footsteps; trees and rocks whisper their stories to us. 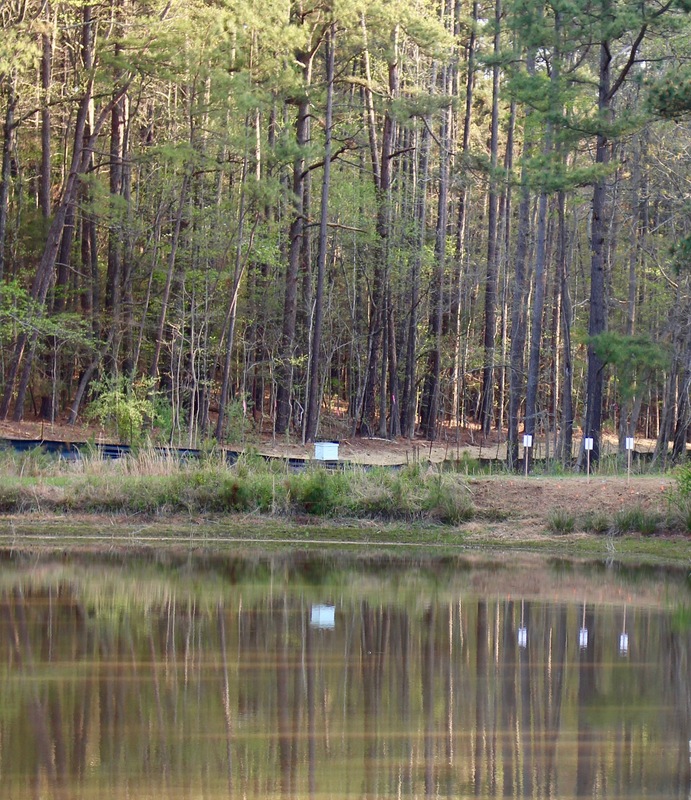 The old tree lives at the far end of the pond near the loblolly pines. Such was the case when I first encountered a gnarled tree with heart-shaped leaves standing stoically beside the pond of the Piedmont Patch demonstration site on the grounds of a small church in Chapel Hill, NC. The vicar of that church was eager to show me the tree because she was deeply attached to it, even though she didn’t know its identity. Her parishioners had wanted to cut it down, but she resisted the suggestion. To her, I think, it represents resiliency; despite its apparent suffering, as evidenced by gnarled branches sporting spindly green shoots and obvious dead branches, the tree had not died. The vicar showed it to me that day hoping that I would be able to give her beloved tree a name. Heart-shaped leaves narrowed down identity options considerably, which helped. It wasn’t a redbud; leaves and branches were all wrong for those species. 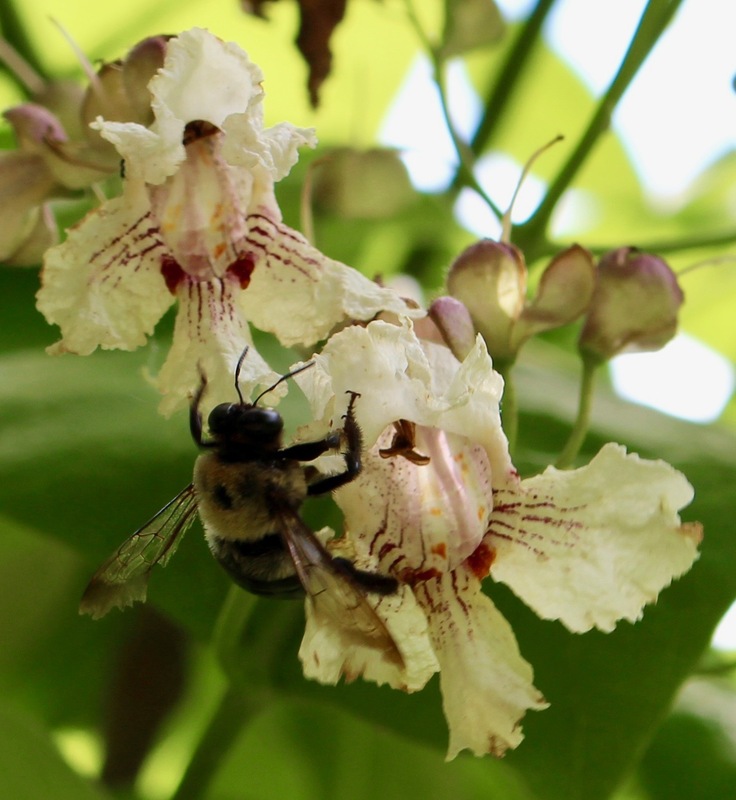 It wasn’t – thank heavens – an invasive non-native Princess Tree (Paulownia tomentosa). By that time, the vicar had told me the story of the land her church occupied. It was a piece of an old farm; they use the old farmer’s home as their parish house. The small pond was part of the farm too, stocked with fish and regularly visited by local fishermen for generations. The church is committed to maintaining the pond for those fisherfolk, even supplying poles for those who care to stop by and try their luck. As I listened to her describe the history of the pond, the puzzle resolved. I knew instantly that the gnarled old tree was a Southern Catalpa (Catalpa bignonioides). 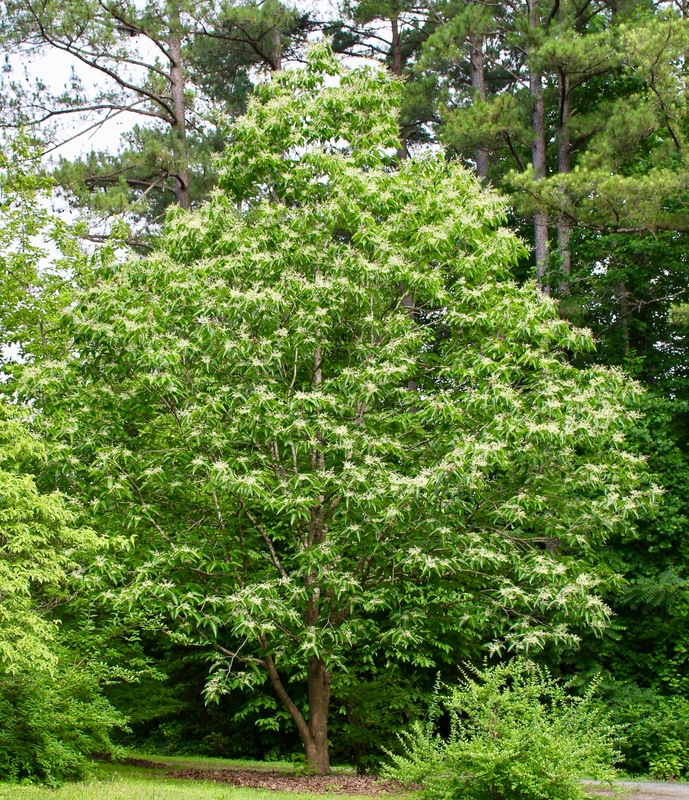 Technically native to slightly more southern states, these trees have naturalized in North Carolina, likely in part because humans have been planting them beside fishing holes for generations as bait trees. 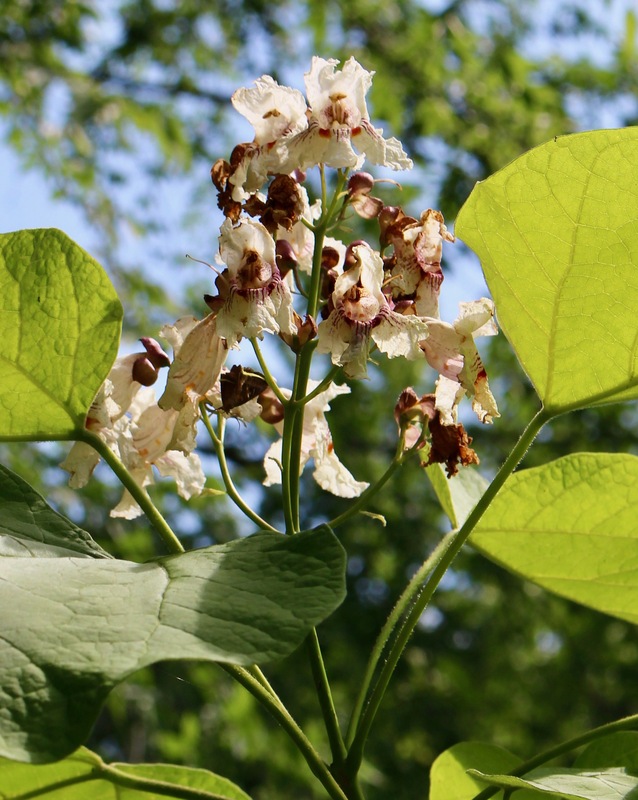 Southern Catalpa is the host food plant for the caterpillar of a sphinx moth (Ceratomia catalpae) that is commonly called a catalpa worm. The outer skins of these caterpillars are tough enough to anchor a fish hook, and their insides emit a scent – even under water – that is catnip to catfish and other fish likely to inhabit farm ponds. Practical fisherfolk of earlier generations soon learned to plant Southern Catalpas beside their favorite fishing spots, so that bait would be handy when they got a hankering to toss out a line. 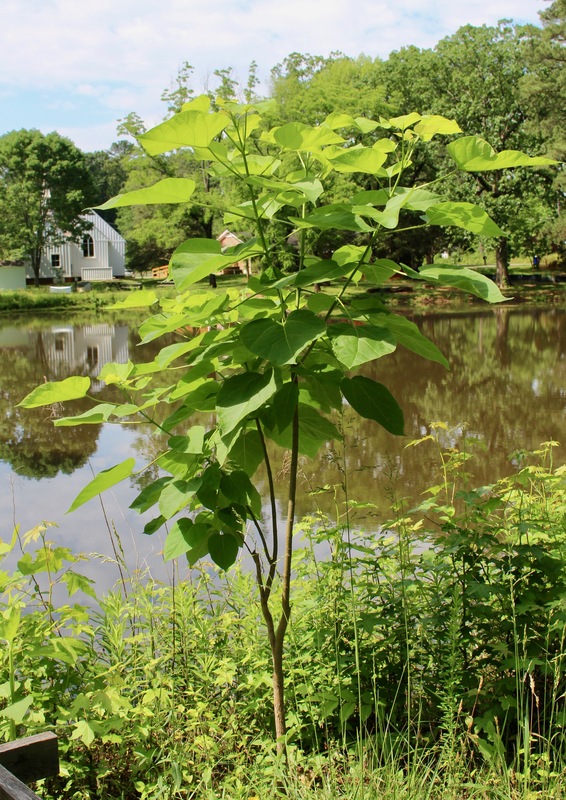 When I had my aha moment of identification, my mind carried me back to earlier times – probably at least 50 years in this case – when a time-traveling fisherman planted this Southern Catalpa because he could see that it would grow large beside the pond, be visited by moths that would lay eggs that would hatch into fat catalpa worms, providing irresistible bait for fish caught to feed hungry families. One of the donated Southern Catalpas growing well in late May of this year. I pointed out the tree to a fellow plantsman, who was intrigued by its story. 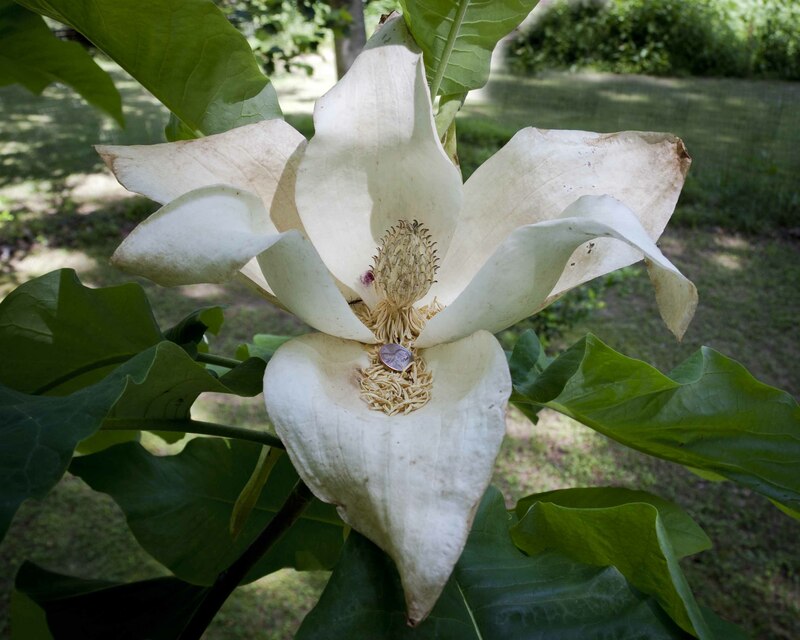 He remembered it when he was acquiring plants at a local nursery and noticed in a corner two very pot-bound saplings of Southern Catalpa that the owners were planning to discard. He asked if he could have them, they happily said yes, and he brought them to me to plant beside the pond that has become the home of the Piedmont Patch demonstration site. Wonder Spouse helped me plant them last year, not far from the gnarled original. They are growing well, and the vicar was pleased that if her old gnarled friend succumbed to time’s travails, its tale would be carried forward by the two new trees. Fast-forward to late May of this year, when I was visiting the site to slip in some beautiful donated plants from another nursery, lovingly dug up and delivered to me by a wonderful plantswoman who works there. I had finished my work and was taking a few photos of what was blooming on this patch of piedmont that is transforming rapidly, thanks to the addition of over 1000 native plants added this year by volunteers who support this vision of creating a sanctuary of native plants to feed and shelter local wildlife being displaced by the rapid urbanization of the region. 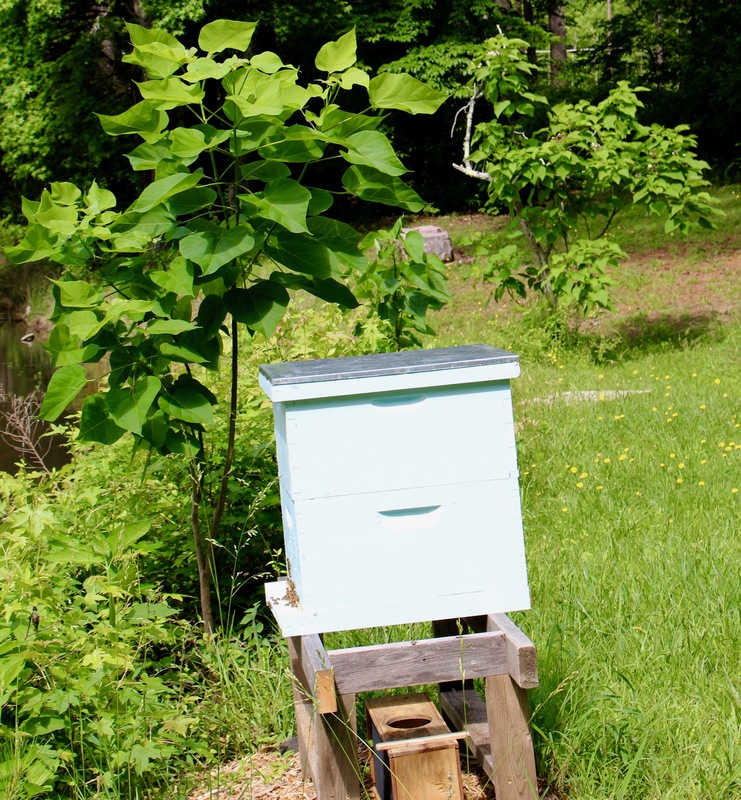 Piedmont Patch hive with young Southern Catalpa directly behind it and the older tree in the distance further back. I walked down to admire the young Southern Catalpas, which now stand near a honeybee hive added this past spring – a fortuitous location, given that flowers of these trees – when they are old enough to start blooming — are beneficial to these pollinators. That’s when I noticed that the elder Southern Catalpa had more fresh leaves growing on it than I had seen since I met it two years ago. When I approached it for a closer look, I realized it was covered in gorgeous flowers! They reminded me a bit of orchids, hanging in pendulous clusters. My mouth gaped long enough that I was lucky one of the nearby honeybees didn’t fly right in. I can only speculate, of course, but I do have a couple of theories. My first is that perhaps the tree felt valued again when we planted two more of its kind nearby. That is an entirely subjective explanation I realize, but if you want to put a scientific veneer on it, I could offer that perhaps increasing the plant diversity of the site as a result of the Piedmont Patch project somehow enlivened the plants already growing there. 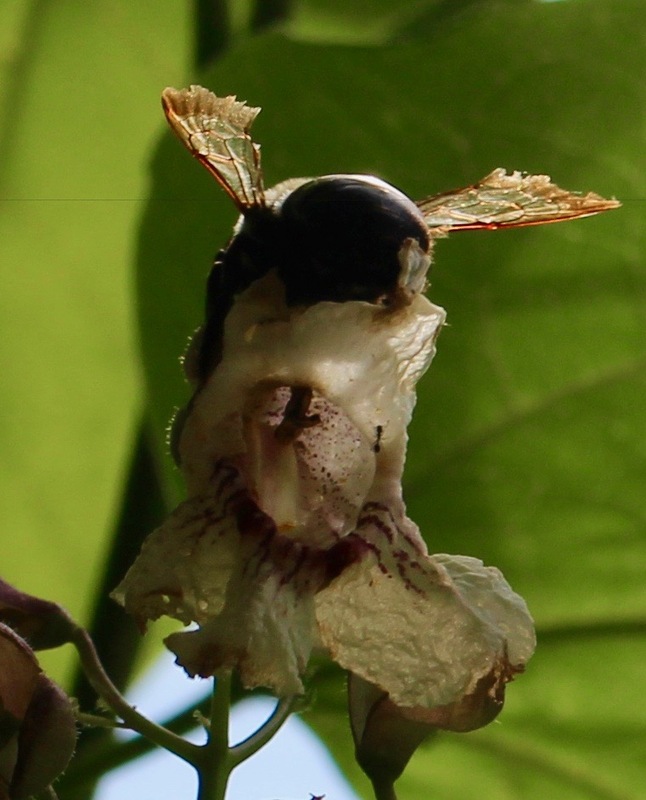 Its wings aglow, a carpenter bee drills through the base of a bloom to harvest its nectar. My second theory has no scientific basis, but as a time-traveling gardener, I have to wonder if perhaps this tree slipped into the Green World timestream back to a time when it was more vigorous. Maybe the work of Piedmont Patch volunteers on the site carried it back to more vibrant times, causing it to burst forth in an enthusiastic flower display more typical of past decades. The pond just before volunteers arrived on Planting Day, April 14, 2018. Note the cleared area at the end of the pond to be planted and the beehive. The nearby Southern Catalpas had not yet leafed out. Transformation is definitely the motif of the Piedmont Patch demonstration site. 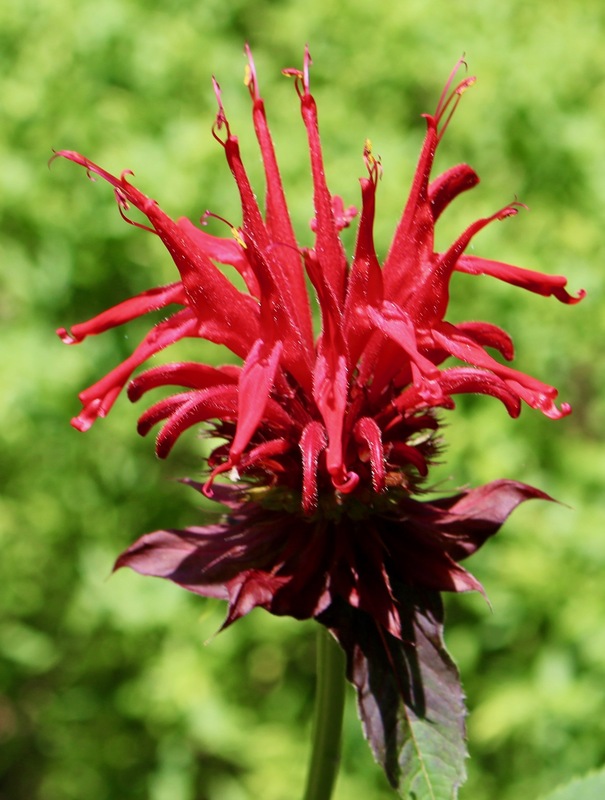 Already, every day brings new wildflower blooms, new birds, and a continuous stream of volunteers bearing plants and offering labor to further the creation of this native haven. Already, it is a place of peace, beauty, and above all, hope. Late May, 2018 shows the establishing native grasses planted a month earlier, and the common milkweeds (Asclepias syriaca) just added by a volunteer who donated them. As I travel forward in my mind to envision this site a few years from now, I see volunteers – the Piedmont Patch Stewardship Team – tending the site. As they pull out unwanted plants and add more native species, work to eradicate nearby stands of invasive non-native species, and document the site’s continuing transformation, I see this site serving as inspiration for new piedmont patches springing up in the region. Every patch will be different – as unique as the group creating it and the site upon which it is established. But all will be growing green havens of native beauty that shelter and feed wildlife, from pollinators to birds to lizards, frogs, and cottontail rabbits. 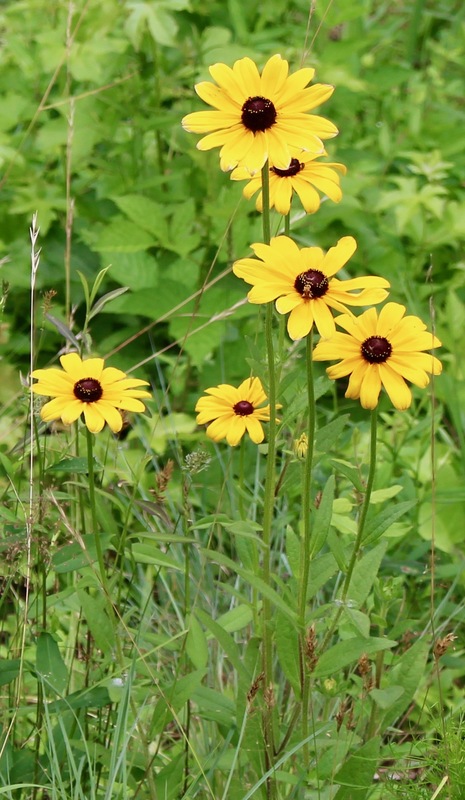 Annual Black-eyed Susans blooming yesterday on the Piedmont Patch site. All will be symbols of hope, refuges also for souls of weary humans who too often lose touch with their connection to the Green World. Perhaps these havens will help more of those disconnected souls regain a knack for time travel, to see what a healthy future for the region – and the planet – looks like. As a time-traveling gardener, I hold on to that hope for transformation. How can I not, when I see a seemingly dying tree burst into spring bloom, and a pond-side full of random weeds become a vibrant assembly of native grasses and wildflowers? 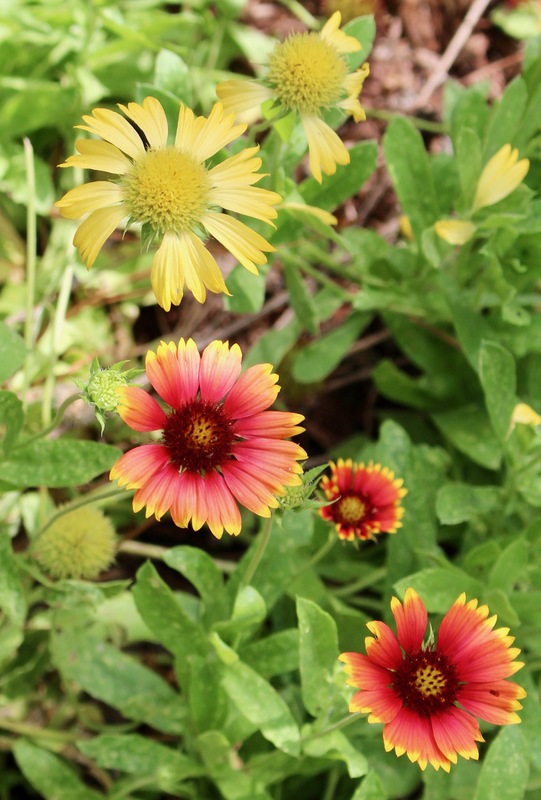 Annual native Gaillardia pulchella blooming on the Piedmont Patch site. On this blog on past Earth Days, I have mounted what I call my green pulpit to preach about the struggling biosphere on our beleaguered planet. Frankly, I am so discouraged by what humanity is allowing to happen these days that I almost didn’t bother to write anything today. But a recent local event motivated this post. Wonder Spouse and I have lived on the same wonderful five acres for 29 years. Because we live beside a perennial creek with an adjacent wetland, beavers have moved into our immediate area several times. Photos throughout this post are of the current beaver pond adjacent to our property. The transformations they manifest on the local environment are immediate and mostly wonderful. From a human perspective, though, because they cut down and eat trees and raise water levels to flood multiple acres, they are often considered a nuisance. About ten years ago, the last healthy 1000-acre stand of forest near our house was erased and replaced with a truly enormous subdivision full of houses packed so closely together that I am sure neighbors can hear each other with the windows tightly shut. Yards are tiny and all look alike, adhering, no doubt, to strict HOA rules. Frankly, the place gives me the heebie-jeebies. 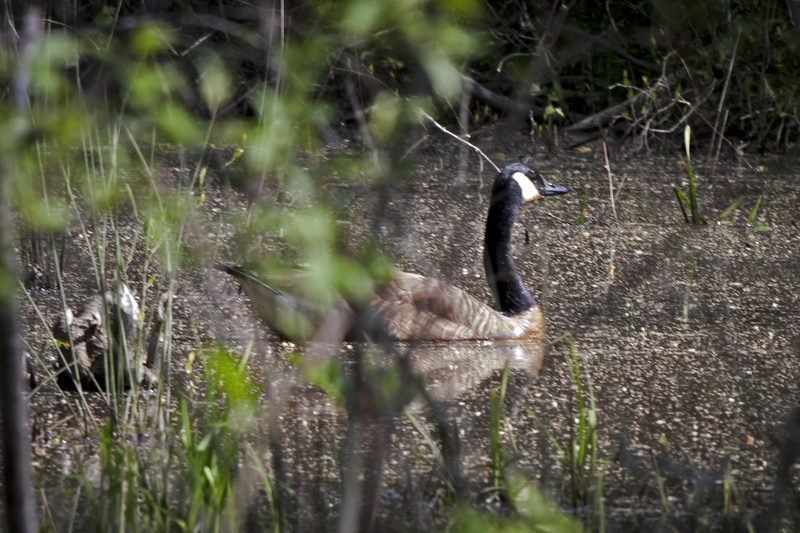 Canada geese noisily enjoy the beaver pond. 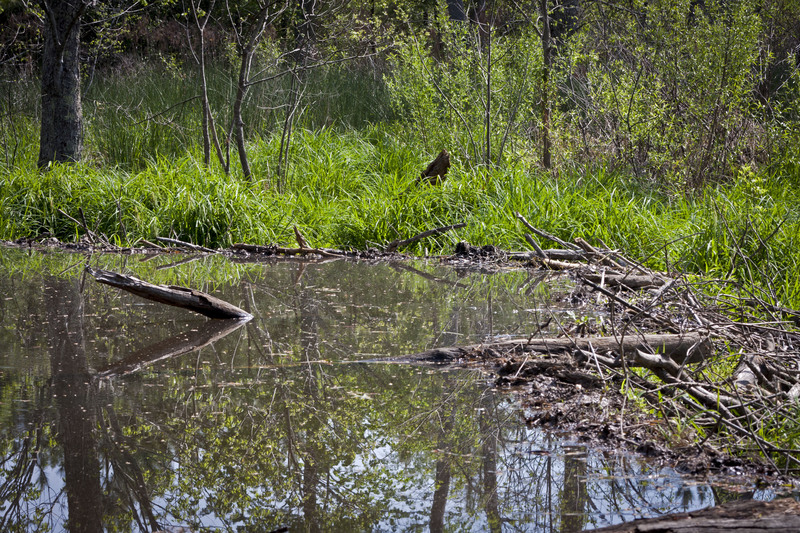 The beaver dam; this is the deepest area, where the Canada geese prefer to frolic. On this Earth Day, I describe this to you because I am flummoxed by the ability of the residents of this massive subdivision to see trees but no forest. In other words, they pick and choose what bits of the natural world they like and which parts they dislike, oblivious to the reality that nature is a system of complexly interlocking parts that evolved over spans of time beyond their easy comprehension. These residents have decided they like beavers. But these same residents team up in blocks to get a group rate on poison applications in their yards to kill ticks and mosquitoes. The poison doesn’t outright kill honeybees, but it is concentrated in their honey. More important, the poison, which is sprayed 30 feet high into the trees, also kills aquatic animals like fish and frogs (big mosquito eaters). Imagine what it likely does to nesting birds! So on the one hand, these beaver-lovers are fighting to save the wetlands created by these industrious rodents, while simultaneously poisoning that environment, all because they want to be able to sit on their patios without being bothered by the insects that are a key food for that aquatic environment. Caterpillars of the Viceroy butterfly eating a wetland willow tree. These same residents trap squirrels visiting their bird feeders and release them elsewhere. This is illegal, by the way, but also demonstrates ignorance of ecology. If you remove squirrels, more squirrels will move into the vacated spaces. I guarantee it. Another resident of this suburban monstrosity told me of the big argument she had with a pesticide company over not spraying poisons in her house. She told me that it is apparently a selling point of this subdivision that all the homes are constructed with pipes running through the walls. Once a month a pesticide company hooks up its tank of poison to the outlet to these pipes and fumigates inside the walls to kill any insect foolish enough to consider moving in. As for ticks — which I readily admit are significant disease vectors — balanced ecosystems are less likely to be overwhelmed by them. White-tailed deer and white-footed mice are two key transporters of ticks. Both species are very happy dining on over-fertilized lawns and shrubbery and beneath messy bird feeders. Adding clusters of native shrubs that feed and shelter birds and reducing lawns in favor of, say, small pollinator gardens of flowers would help dwindling insect and bird populations and reduce the need for supplemental bird feeding except during winter months when food is scarce. 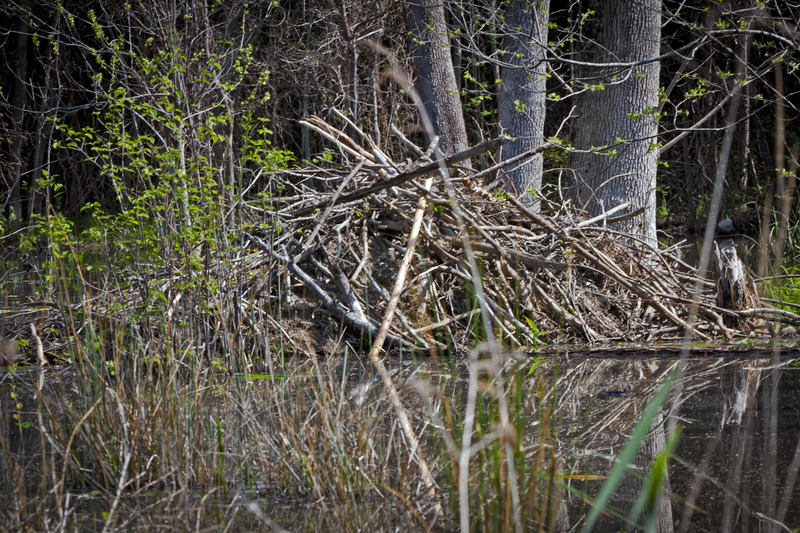 Small brush piles provide habitat for birds and opossums — known by ecologists as “tick vacuums,” because when they are present, the ticks they pick up are eliminated by their meticulous grooming habits. To all these residents who moved here from elsewhere, I ask you to embrace the fact that you now live in the southeastern United States. Our mild climate means insects thrive year-round. We who grew up here know this and long ago adapted to that reality. When you attempt to kill or remove every animal that you don’t like, your choices impact more than just those target species. You hurt the environment you profess to love. You hurt the home of those furry rodents you have anthropomorphized into your friends. This is not an either-or situation. Nature is a system, an orchestra composed of myriad instruments, a chorus of many voices. The richness of the song is diminished every time you exterminate a voice. The viability of the entire system becomes more fragile every time you impose your will onto the environment that supports all of us. On this Earth Day, I implore my neighbors to embrace all of Nature’s parts, whether or not they inconvenience you. If you can find a way to co-habit with beavers, that’s great. But if at the same time you do not protect the health of the wetlands they create by ceasing to poison and over-fertilize your yards, by replacing biologically sterile lawns with native flowers, shrubs, and trees that support wildlife, by learning the names of all the native plants, animals, birds, and insects in your environment and teaching those names to your children, then you are merely killing your beloved beavers by slower methods than those planned by your HOA. Please Volunteer for April 14 Piedmont Patch Planting Day! Plans are well underway for the big Piedmont Patch Planting Day on Saturday, April 14 (rain date April 21) from 9:00 a.m. to noon. 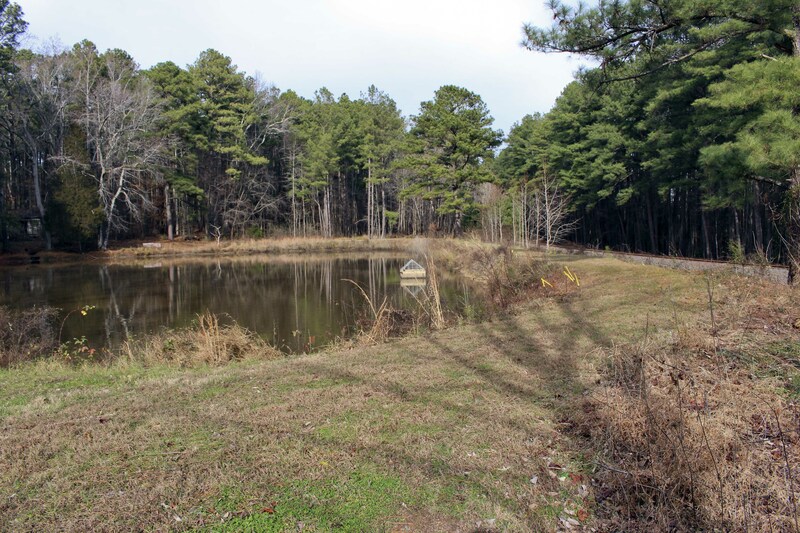 We will be planting native grasses and wildflowers on the 300-foot-long earthen dam beside the pond at the Episcopal Church of the Advocate in Chapel Hill. We’ll also be adding some plants around the shallow edges of the pond, and a few water-tolerant shrubs to offer more cover and food options for native waterfowl. 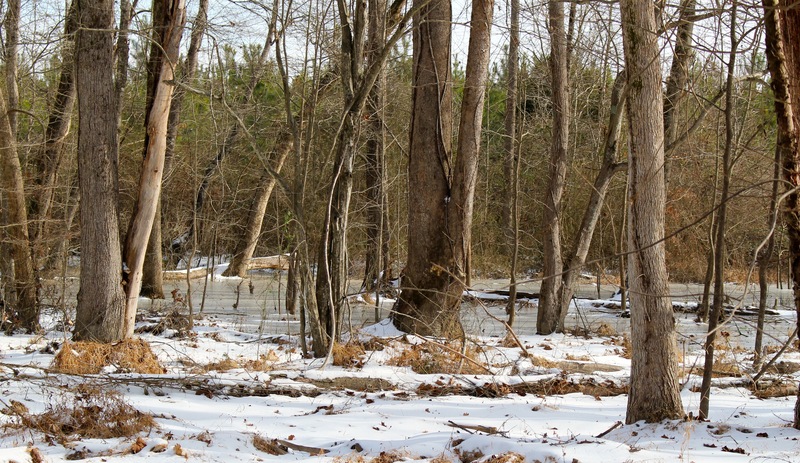 By the end of the growing season this year, the area around the pond should be teeming with blooms, butterflies, bees, birds, and other native wildlife. 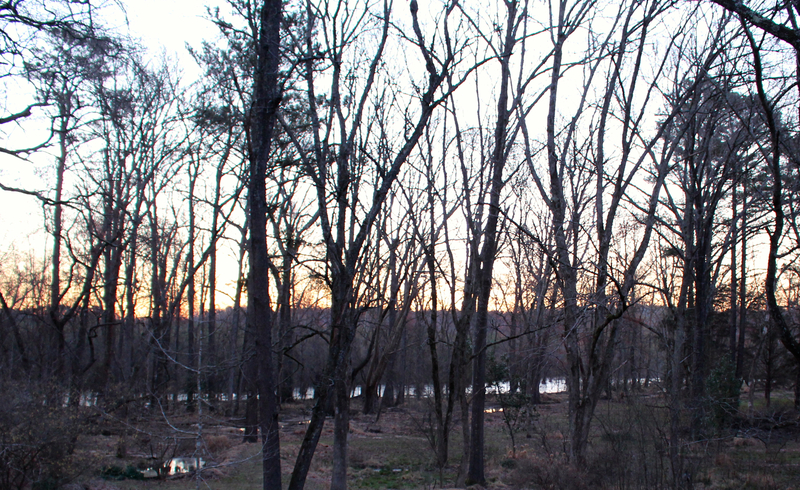 As the plantings mature over the next few years, they should provide permanent habitat – food and shelter – for a diverse array of native animals, stabilize the integrity of the earthen dam, and provide a place of beautiful contemplation and study that will be open to the public year-round as a demonstration of how adding a Piedmont Patch on a public or private landscape can transform the property into a haven for displaced native wildlife, and a place of beauty for human admirers. To manifest this dream, we need as many enthusiastic volunteers as possible to help us plant around 1000 grasses, wildflowers, and shrubs of varying sizes on Piedmont Patch Planting Day. We invite volunteers new to gardening and veteran gardeners to join us on the big day. We hope to use the veterans as group leaders, who will each supervise a small group of less-experienced volunteers. Each group will be assigned a set of plants and an area to plant. We are hoping our group leaders will be able to talk about the native plants they recognize as they work with their group, so that everyone will leave with more knowledge than they arrived with. The group planting water-tolerant plants should wear water-proof shoes and be willing to get a bit muddy during the planting process. Everyone else should wear sturdy gardening clothes, closed-toe shoes with tread (we’ll be planting on the slope of the dam), and gardening gloves. Please also bring your favorite planting tools – trowels, spades, garden knives, etc. The planting site is not ideal for younger children, but families with children old enough to safely traverse the slope and handle planting tools are invited to join us. We also welcome any Girl Scout/Boy Scout and other youth groups interested in helping to plant this site. If you would like to volunteer for the Piedmont Patch Planting Day, please send us an email at piedmontpatch@gmail.com. Let us know if you are a veteran gardener or a newbie and how many folks you’ll be bringing. You’ll find directions to our planting site on our Web page. Please join us in creating our first Piedmont Patch!